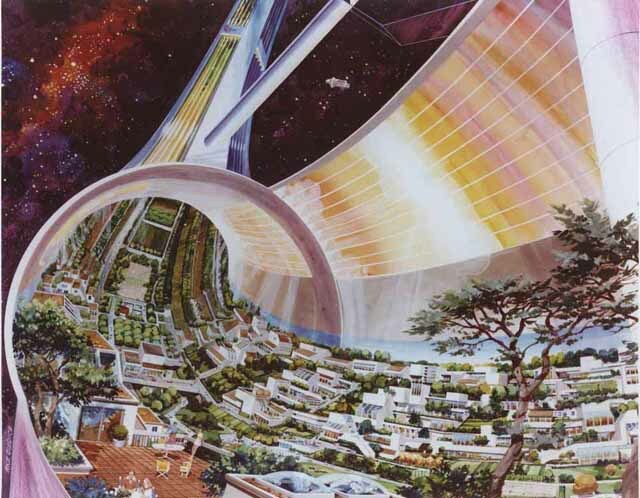 In the 1970 NASA envisioned possibilities to colonize space: building giant spaceships, orbiting around the sun. 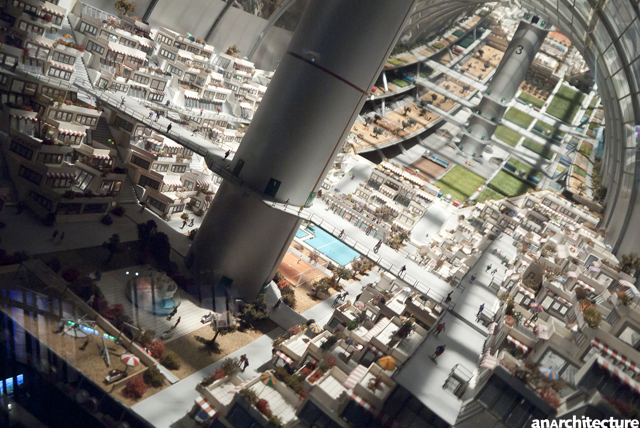 The image shows a diorama scene from the Haus der Natur, in Salzburg. For Space colonization, it seems, people in the 70ies could not think of something different than living in a private suburban (row) house. Even in space we insisted on questionable urban planing ideas.